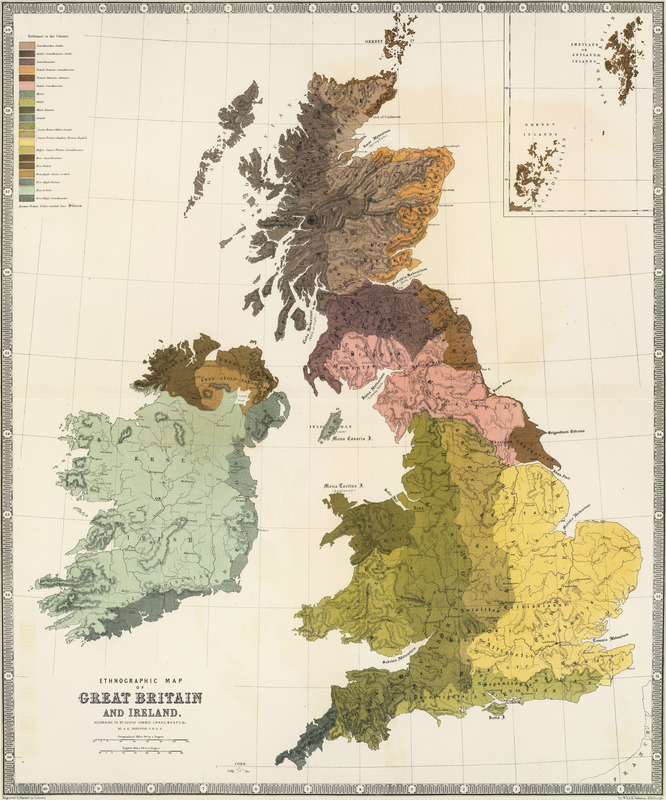 This map isn't part of any series, but we have other maps of the British Isles that you might want to check out. 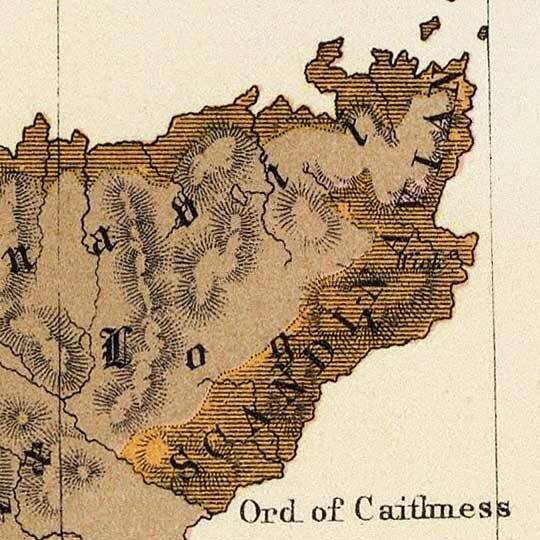 Here is noted Scottish geographer Alexander Keith Johnston's map of the ethnicities he saw as comprising the British Isles in the mid-19th Century. Sounds like a bunch of different flavors of "white people" to me... but I'm quite sure that important distinctions can be made by the connoisseur.